In what is rumoured to be his last acting role, Redford plays Forrest Tucker, who escaped from San Quentin at the age of 70. With a pair of similarly-aged accomplices, he launched a series of audacious bank heists that perplexed the police and delighted the public. 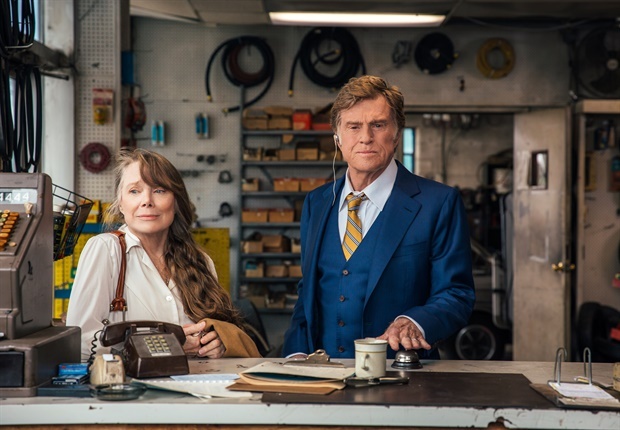 With effortless chemistry between Redford and Spacek, and echoing his classics such as Butch Cassidy and The Sting, the film ensures we’re rooting for this old rogue. “A love letter to a cinematic legend” (RogerEbert.com). The programme will include our current BRIT School Showcase film Century Eyes, a music video directed by Simi Akande. Show starts at 2.30 pm, ticket prices £7.50 & £6.00 (concessions).